Governments’ refusal to send troops and the World Health Organisation’s bungling response to Ebola has cost lives, aid charities say. A catalogue of errors has led to the outbreak teetering on the brink of becoming the ‘definitive humanitarian disaster of our generation’, Oxfam said as it made a rare appeal for troops to be sent to west Africa. West Africa’s ‘brain drain’: Most of the brightest medical students moved to wealthier nations, leaving the virus-hit nations ill-equipped. Slow to act: WHO and Western countries have been accused of reacting slowly to the crisis, with aid still only trickling through. Incompetent workers: Dr Peter Piot, who discovered Ebola, says WHO’s regional office in Africa did not act when the virus began to spread. Lack of information: An internal report from WHO suggests people in the worst-affected nations were not made aware of how to deal Ebola. Bureaucracy: The same leaked document says ‘politically motivated appointments’ held up the UN agency’s response. 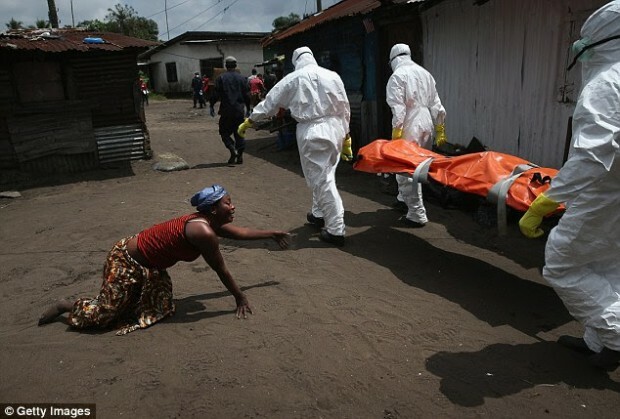 Not enough money: World powers, including Italy, have been accused of not donating enough aid to countries tackling Ebola.